Hey everyone, this post is an update on, well everything! I've got a couple of announcements, some good and some a little sad but they are just steps on my airsoft journey. Firstly the great news! 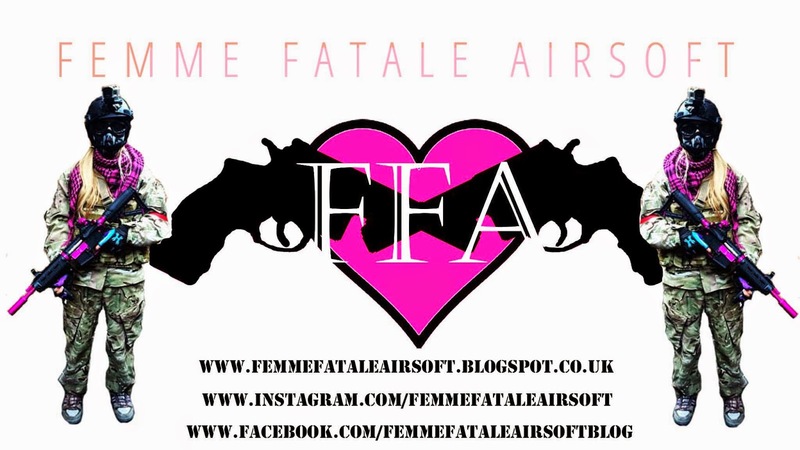 Thanks to my lovely followers, Femme Fatale Airsoft has over 1.7k Instagram followers and 122 YouTube followers! In the short 4 months Femme Fatale Airsoft has been live it has opened up so many doors for me which I am really thankful for! This blog as some of you know was started shortly after I lost my job and had a car accident, it was originally something to pour my spare time into however it has become so much more than that. I have met some wonderful people through FFA and look forward to continuing this. Now for the sad news, due to the popularity of my blog and YouTube I have stepped down from my position as a reporter for Airsoft Awareness. Unfortunately, I no longer have the time to dedicate to it and I don't want to do a half job of it, but I wish the lads best of luck for the future :) Secondly, due to various reasons, I have decided that I will no longer be playing at my local airsoft site. Next week you can look forward to an article on different eye pro, a new airsoft video on my YouTube and a lot of mail calls! Have a great weekend!